Alongcamepollly: Take me to the Emerald City..
For those of you who don't know me, I have a bit of an obsession with The Wizard of Oz. Even as a child my main ambition was to find a pair of ruby slippers and be taken away to the Emerald City with Toto and my three friends. The only difference between my imagination and real life was that I lived in Ballina, they were black patent Doc Martens, my dog's name was Scallen and I was four so I was allowed outside the front door alone. Nonetheless it never dampened my hopes of someday owning my very own pair of ruby slippers, donning a Dorothy inspired dress, and uttering the words 'there's no place like home'. On the night of my 21st party my dream came true! I had a Wizard of Oz theme and I dressed as my idol, mind you the dress was alot shorter and the heels were alot higher, but we had a great night! Anyway....back to why you're really here, my outfit! Well, the reason for that semi-rant is because this outfit was somewhat inspired by my love of the Emerald City. I love green, I always have, and with this outfit I took that love to new heights! 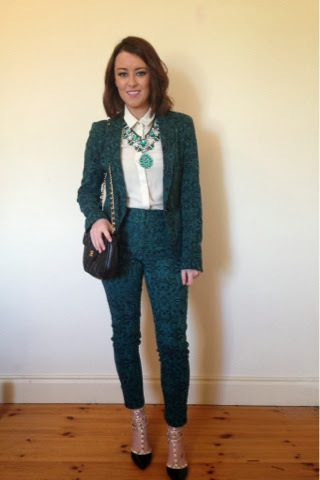 The blazer and pants have been seen in a previous post, they are both penneys/primark. If you're lucky they could still be available. The quality is fantastic, thick, stretchy material so it's very comfortable. 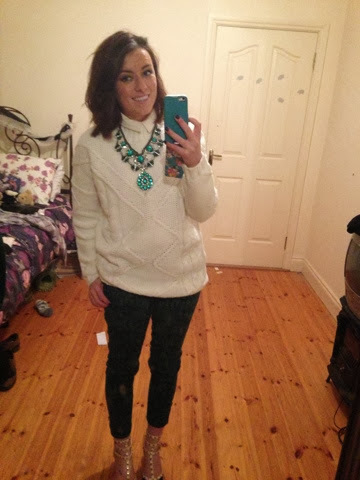 Trousers, blazer, shirt, all Penneys/Primark. The stand out piece of this outfit, (as if it needed it) is the chain that I picked up on eBay. 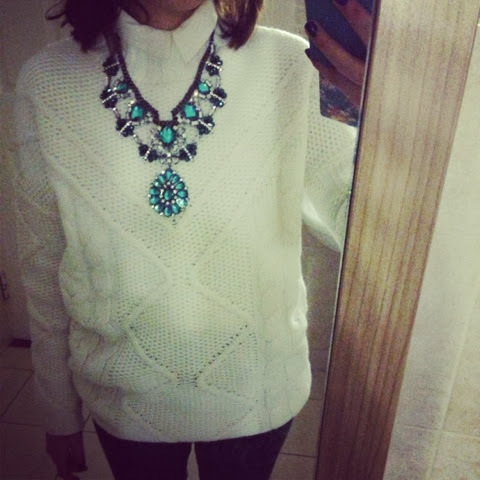 Now it was €30 including p&p but the quality is excellent and it's just so gorgeous! 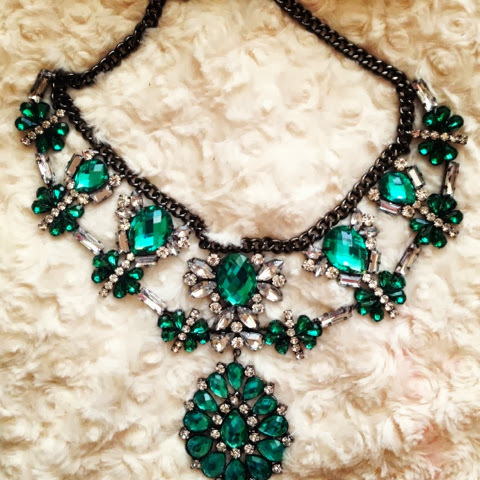 It would add so much to any outfit, it's a great addition to your accessory collection. 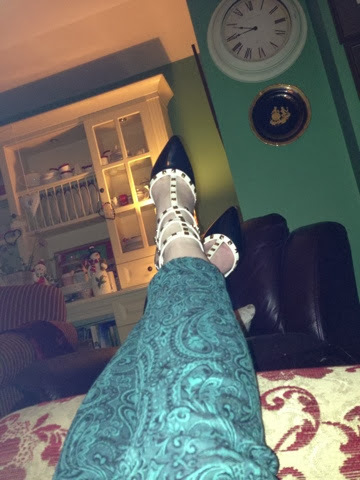 The shoes are my Rockstud Valentino dupes also from eBay! These are a littles different to my high Rockstuds featured in a previous post as these only have a small heel, but they're so comfortable and wearable and they also have two ankle straps which are very slimming on the ankle. Next is my new bag that my mum brought me back from Morocco! 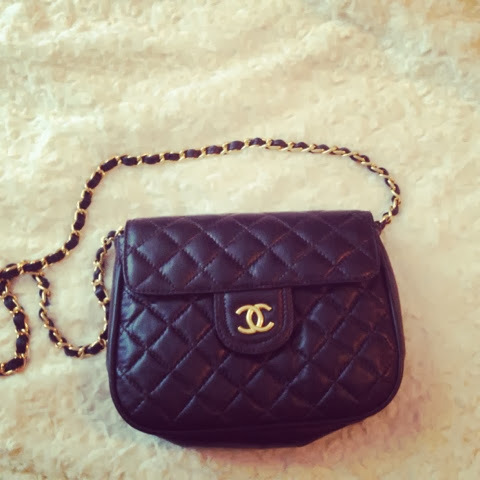 It's Chanel and it's as fake as my tan on a Saturday night but I love it all the more for it! My attempt at posing for the camera. Really need to start getting better at that. At the end of the day I was feeling a bit cold so I took the blazer off and threw on a knit I bought in Penneys last week for only €16, it's great heavy material and much better quality than any previous ones I've bought in there before.